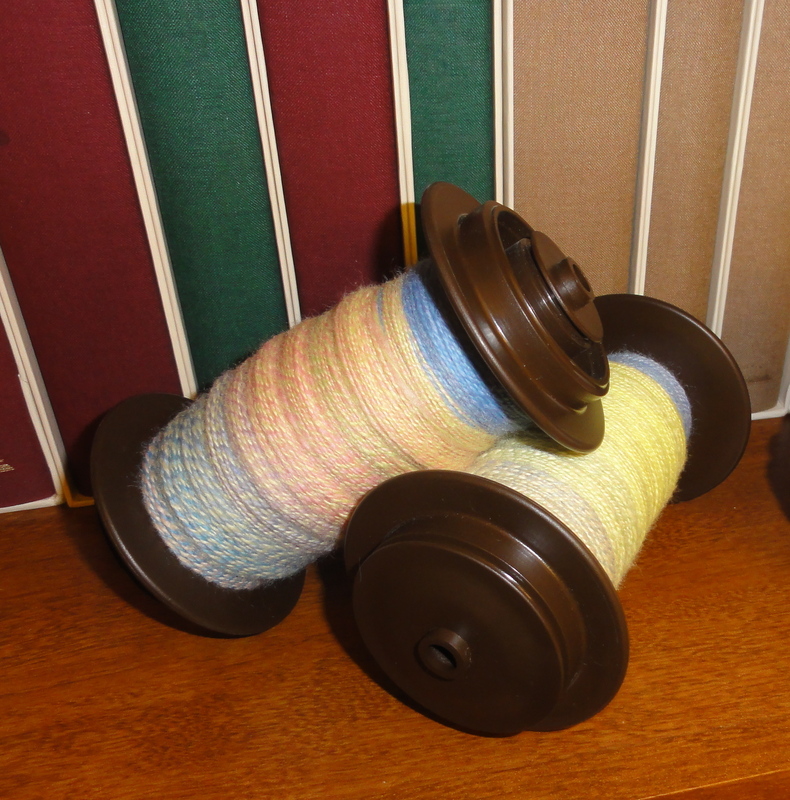 Day 6 of the Tour de Fleece was spent plying the four bobbins of BFL singles to make two bobbins of 2-ply yarn. The 2-ply was so pretty that I seriously reconsidered my plan to combine both bobbins of 2-ply to make a 2 x 2 cable yarn. 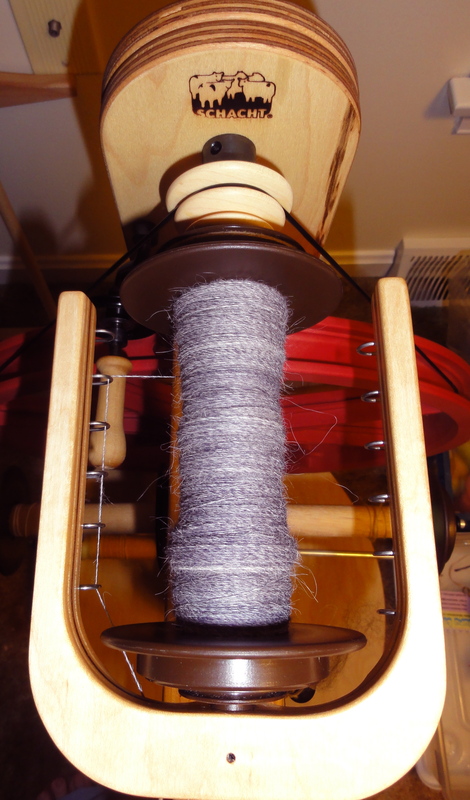 I also added more yarn to the bobbin of alpaca/Merino blend. These singles are very fine. I’m really enjoying my very first Tour de Fleece. 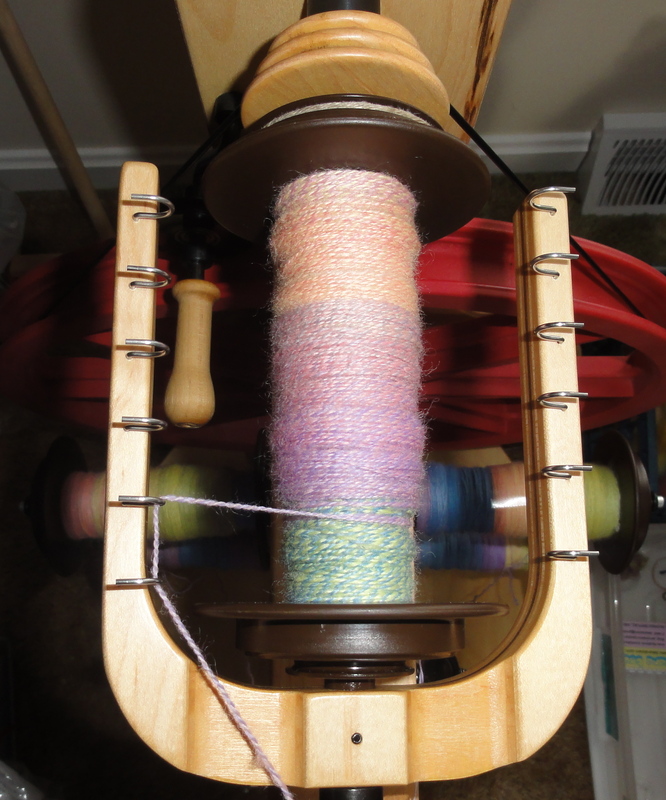 This entry was posted in Spinning and tagged BFL, hand spinning, handspun yarn, Tour de Fleece. Bookmark the permalink.